Walker Road Animal Hospital provides both preventative and emergency veterinary care during regular daytime hours. You can book a scheduled appointment for non-critical emergencies Monday through Friday between 8am and 6pm, and/or Saturdays between 8am and 12pm. Routine surgeries can be scheduled between 8am and 12pm Tuesday through Friday. Our walk-in hours are offered after 6pm on weekdays, after 12pm on Saturdays, and all day Sunday. 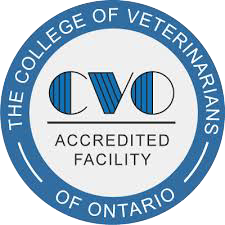 Our highly-trained team of veterinarians, registered veterinary technicians, and veterinary support staff, are onsite 24-hours a day, 7-days a week, and 365-days a year. Together, we work as a team to provide 24-hour care as an extension of your family veterinarian. While we understand everyone has a busy schedule, we do our absolute best to respect the time allotted for your appointment, however sometimes emergencies happen. If you are arriving during our walk-in hours, your pet will be triaged by a registered veterinary technician, in the same way that you would expect to be triaged at the human hospital. Your pet’s vitals will be accessed and based on the severity of your pet’s condition, our medical team may decide to take your pet immediately to the treatment area. All patients in our waiting room will be stabilized and prioritized based on the nature of the emergencies. The most critically-ill patients will be seen first. Once your pet is triaged, a thorough examination is performed by the doctor and recommendations for any necessary tests discussed between you and the veterinarian. Because time is critical in emergencies, we have an in-house laboratory and the latest digital X-ray so our veterinarian doctors can quickly and accurately diagnose your pet’s condition. We will work with you to help provide for the needs of your pet. We are committed to providing exceptional health care around the clock. Whether you are a longtime client, visiting us for the first time, or are being transferred by your family veterinarian, we will provide a tailored treatment plan to help diagnosis and treat your pet. Cutting-Edge Diagnostics Help Us Tailor Our Patient Care. We provide full blood-work onsite to help us capture a clear picture of your pet’s current condition. Digital full body x-rays, digital dental x-rays, oxygen therapy, ultrasound, and endoscopy. Our customized treatment plans allow you to make confident choices about your pet’s veterinary care. Click Here to learn more about our extensive emergency and preventative veterinary services.